This article is going to analyse quantity surveyor roles and responsibilities. 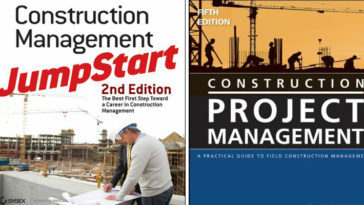 Also roles and responsibilities of a quantity surveyor in pre-contract stage and post-contract stage. The Modern Quantity Surveyor’s role is expanding to create a wide range of job qs titles and responsibilities. 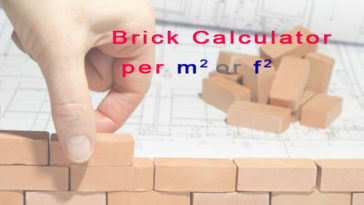 Instead of traditional Quantity Surveyor duties such as measure materials and trade works. 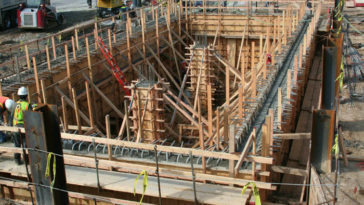 The QS responsibilities include financial, contractual, and commercial management knowledge that apply both before project start and during the construction stage. The duties of the quantity surveyor will differ and perform the range of functions where quantity surveyor work in small, medium size company or the large firm. 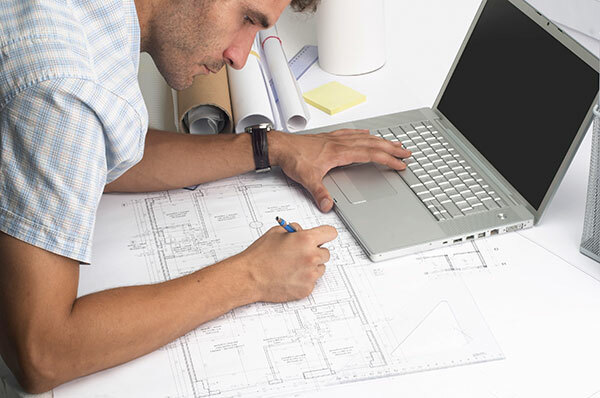 A quantity surveyor may work for either the client or the contractor, working in an office or on-site. They are involved in a project from the startup preparing estimates and costs of the work to the final figures to complete the project. These are things that quantity surveyor job consists. Chung (2000) recognized that Quantity Surveyors duties are preliminary cost advice, cost planning and value management, contractual methods. 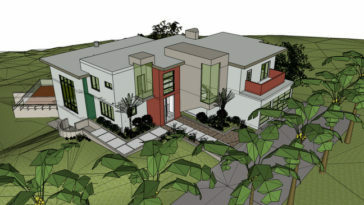 Moreover, tendering, choice of contractor, valuation of construction work, project management and increased efficiency. RICS (1999) pointed out some services of Quantity Surveyor should be provided during the different stage of the project. 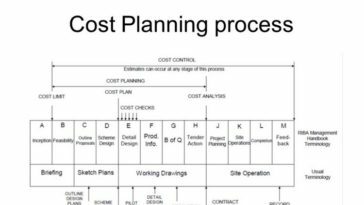 In the pre-contract stage: Quantity Surveyor should prepare and develop preliminary cost plan, advise on cost of design team’s proposals. Moreover, monitor cost implications during the detailed design stage, maintain and develop cost plan. 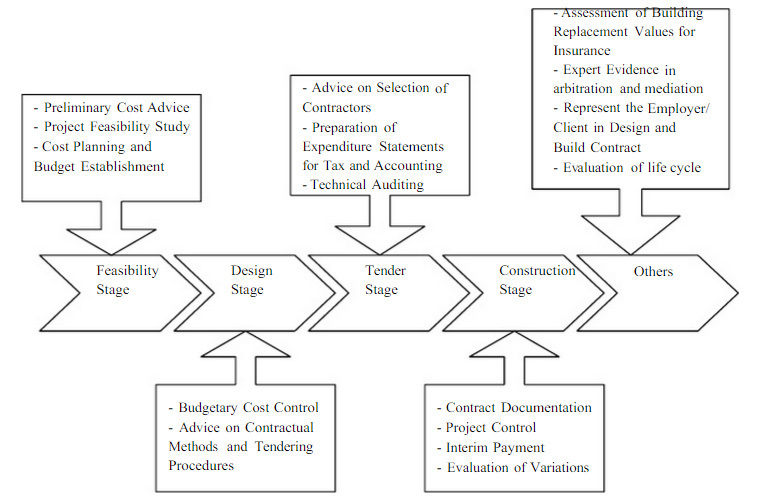 For the tender stage: Quantity Surveyor should advise on the contractual documentation to clients. Moreover, Quantity Surveyor also needs to prepare recommendations for interim payments, post-contract cost control and final account. Furthermore, Quantity Surveyor should provide and price bills of quantities, prepare cost analysis, advice on financial implications, advise on the use of areas and provide a measurement of areas, provide advice on contractual matters. 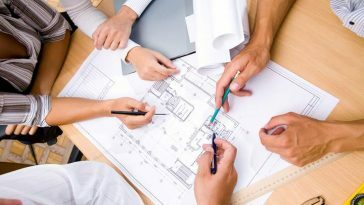 Here are the list of quantity surveyor duties and responsibilities in the different stage of RIBA Plan of Work. The preparation of Bills and Schedules of Quantities of materials, labour and services required in the construction and equipment of building, or engineering works.